Learn to sew with LED's and conductive thread in this introduction to soft circuits. We'll be covering the basics of a simple circuit using sewable electronic components, a battery, and switch to make a light up embroidery piece. 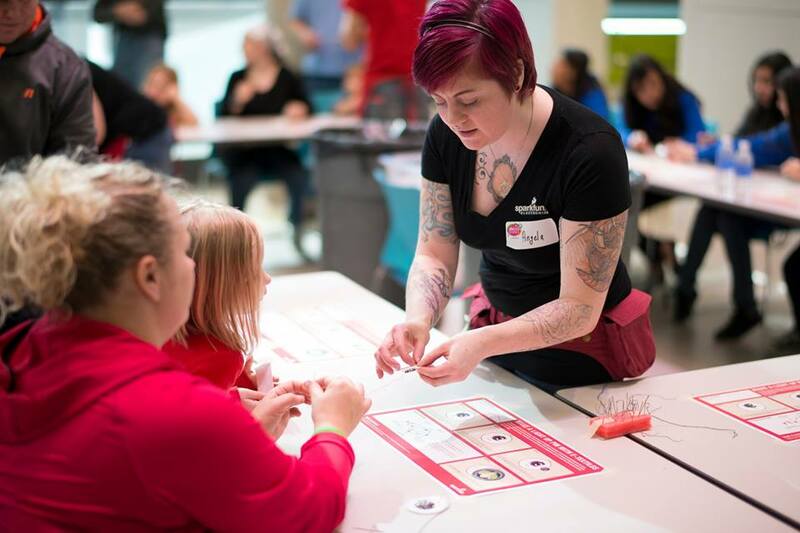 In this class for kids, learn how to build a simple soft circuits! Explore different techniques for getting started in crafting using electronic components combined with sewing, fabrics, and more! Learn how to build a simple soft circuits! Explore different techniques for getting started in crafting using electronic components combined with sewing, fabrics, and more! Learn how to make a light up embroidery piece - no wires required! Join Angela for an introduction to soft circuits ie combining electronics/hardware with soft and flexible materials and crafting techniques. This class will introduce you the world of soft circuits and eTextiles - a field that combines traditional electronic components with sewing, fabrics, and crafts.